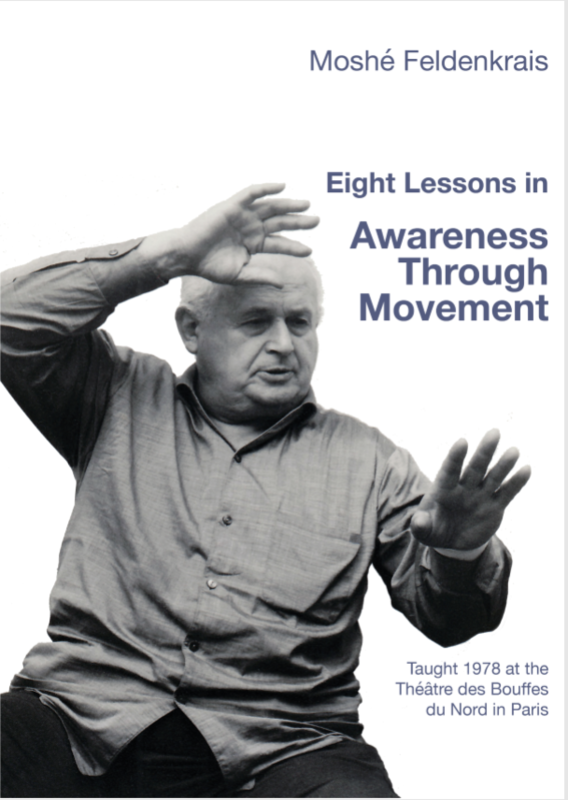 In May of 1978, Moshe Feldenkrais taught a now-famous workshop for the members of Peter Brook’s internationally renowned company at the Théâtre des Bouffes du Nord in Paris. The Awareness Through Movement® lessons were recorded on a small hand-held tape recorder by Myriam Pfeffer — who graduated from the Tel Aviv Feldenkrais® teacher training and went on to become the first Feldenkrais trainer in France. These long-unavailable ATM® lessons have been talked about and sought after for decades. The recordings of eight of the Peter Brook lessons were presented to the French Feldenkrais teachers worldwide in March 2017 on the occasion of the 30th anniversary of Feldenkrais France (the French professional Feldenkrais Association). 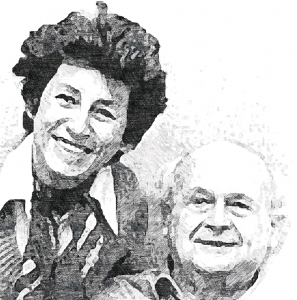 They were a gift to French colleagues, be they members of Feldenkrais Associations and Guilds or not, from Myriam’s daughter, Sabine Pfeffer — who is also a trainer — and former IFF President Francois Combeau — who had engaged a sound engineer to help him improve the quality of the six of the recordings. Earlier this year, during the winter holidays, I had the good fortune of participating in the AY a day group when we “test drove” Ben Parson’s English translation of these lessons. Francois Combeau, with the assistance of sound engineer, restored six of the recordings to make them easier to listen to and understand. Ben Parsons used the original French audio and the French transcription to create the English translation. The translation was then checked and test driven by the AY a day online study group. Monika Praxmarer created the German translation, which was then professionally edited by Anne Barthelmeß. Patrick Gruner, NLP & Feldenkrais trainer, coordinated the English and German translations, created the beautiful cover-design, and put the finishing touches on the formatting and editing. The transcripts and recordings are published with the kind permission of the International Feldenkrais Federation, François Combeau, and Sabine Pfeffer. 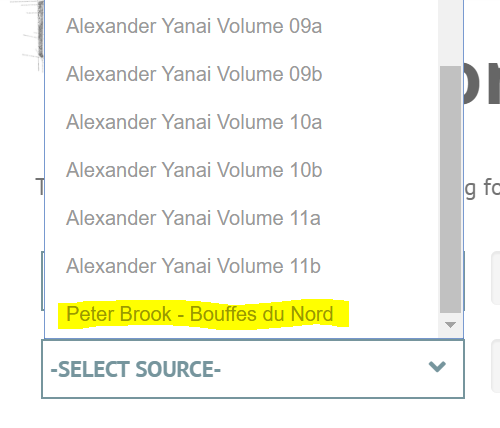 To mark this historic event, we are excited to let you know that we’ve added the Peter Brook/Bouffes du Nord ATMs to the Lesson Locator. These are the first lessons that we've added to the 550 Alexander Yanai ATM classes included in the initial release of our digital card catalog of Moshe’s ATMs. You can now search for them directly . . . and results for other searches may include them as well. To search the Lesson Locator, please remember to log in to your Mind in Motion Online (MIMO) account first. These ATMs have been made available, free of charge, to anyone who teaches — or is in training to teach — Moshe’s method. A deep and heartfelt THANK YOU to the generosity, community spirit, and altruism of everyone who contributed their resources, skills, and time to make these precious lessons available to every member of the worldwide community of Feldenkrais trainees and teachers. Sabine Pfeffer, Patrick Gruner, and the International Feldenkrais Federation have kindly allowed me to let you know how to access the Peter Brook/Bouffes du Nord lessons. To obtain the links to the recordings and the French, German, and English transcripts, please first log into your MIMO Become a Better Teacher (BABT) account and then return to this page, where you’ll find that the links have automagically appeared below. If you’re already a member of Mind in Motion online (MIMO) and are eligible for a BABT account, but have yet to request a free upgrade, you can do so now. Please click here to go to your My Account page. If you’re eligible and don’t have to a free MIMO account, please click here to go to the account application page. When you’re there, scroll down to the BABT section, provide the necessary information about your teacher training, and submit your request. To make sure there are no unnecessary delays in your account being granted, please make sure to provide the correct and complete details about your teacher training. In case you’re wondering why we ask you to do this, it’s because BABT accounts are solely for members of our profession. We use each applicant’s training credentials to verify that you are, indeed, a qualified teacher or a trainee. Please know that I personally vet each and every application for a BABT account to make sure we only grant these accounts to those who are eligible to receive them. I trust you'll enjoy these ATM lessons and learn from them. If you do, I hope that you'll consider how to pay it forward, finding your way to contribute to our community and continuing development of Moshe's method.